SAN DIEGO – Nov. 4, 2013 – Northrop Grumman Corp. (NYSE:NOC) and Triumph Aerostructures – Vought Aircraft Division, a subsidiary of Triumph Group, Inc., have successfully demonstrated the structural strength of the U.S. Navy's Triton unmanned aircraft system (UAS) wing. This is a key capability that will allow the aircraft to descend from high altitudes to make positive identification of targets of interest during surveillance missions. 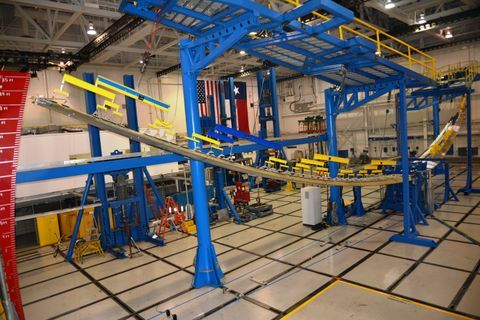 A team of engineers found that no failures or unacceptable deformations of the wing occurred when it was subjected to a load at 22 percent above the Navy's requirement. 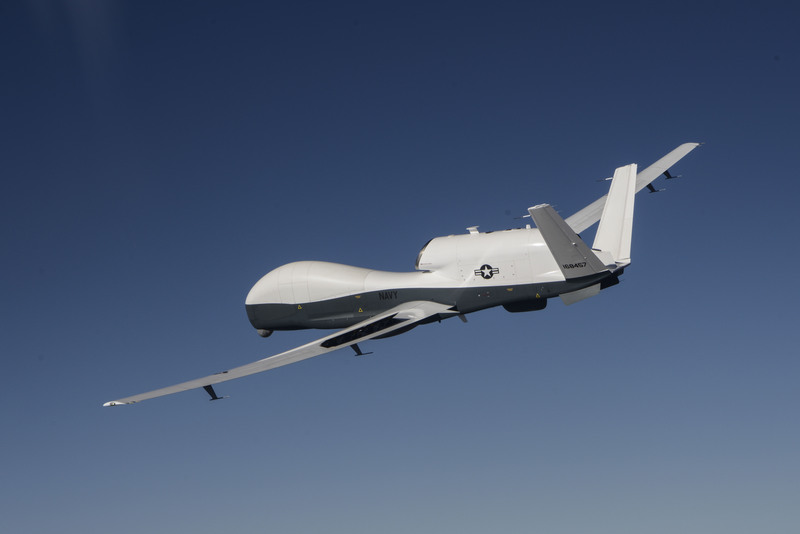 "During surveillance missions using Triton, Navy operators may spot a target of interest and order the aircraft to a lower altitude to make positive identification," said Mike Mackey, Northrop Gumman's Triton UAS program director. "The wing's strength allows the aircraft to safely descend, sometimes through weather patterns, to complete this maneuver." Northrop Grumman's wing supplier for its portfolio of high-altitude, long-endurance unmanned aircraft systems is Triumph Aerostructures ─ Vought Aircraft Division. The testing was conducted at their facility in Dallas. Additional steps needed to certify the wing's life span include flight tests at various weights placed within the wing that simulate various fuel loads and a fatigue test of the entire airframe that will begin in 2017. The MQ-4C Triton will provide long-range intelligence, surveillance and reconnaissance to Navy commanders as a complement to the manned P-8 Poseidon maritime patrol aircraft. Using a specialized suite of sensors that sweep in a 360-degree field of view, Triton can monitor more than one million square miles of ocean in a single mission. Northrop Grumman is the Navy's prime contractor for the Triton UAS with 68 aircraft planned to be built.